2018 saw a sea-change in attitudes and actions towards Liquefied Natural Gas (LNG) as a marine fuel. By March, of the 94 cruise ships on the global order-book, 18 under construction were LNG-powered. This represented 20% of all newbuildings for the cruise industry, but 25% of newbuilding capacity due to the size of the vessels ordered. The world’s first fully LNG-fuelled cruise ship, SEA\LNG member Carnival’s AIDAnova entered service in December with a further seven LNG-powered cruise ships ordered by Carnival to be operational by end 2022. Overall, the LNG-powered fleet has grown globally from 118 LNG-powered vessels in operation in 2017, to 143 LNG-powered vessels in operation – with a further 135 on order and 135 LNG-ready ships either in operation or on order. Orders for LNG-powered vessels span a variety of vessel types including tankers, cruise ships, container ships, car carriers, and Very Large Ore Carriers (VLOC)s. In 2018, new LNG-fuelled vessels included ESL shipping’s delivery of its second LNG-fuelled 25,000 DWT bulker Haaga and Crowley’s combination container/roll on-roll off (ConRo) El Coquí. Sovcomflot’s Gagarin Prospect delivered its first cargo shipment, one of six LNG-fuelled Aframax tankers the company expects to have in operation by the summer of this year. Containerships took delivery of its first LNG-fuelled 1400TEU container vessel Containerships Nord and AG Ems shipping group announced its third LNG ferry retrofit with the RoRo passenger ferry Munsterland. Driven by a requirement to supply these LNG-powered trailblazers, LNG bunkering infrastructure is expanding and there are increasing numbers of LNG-bunker vessels which are encouraging other operators to adopt LNG. From limited availability at select ports, LNG bunkering has grown to encompass 24 out of the world’s top 25 and all but one of the top ten bunker ports globally. The single operational LNG bunker vessel operating at the beginning of 2017 has been joined by a further eight with – we estimate – 30 likely to be in operation within the next four to five years at key bunkering nodes in Asia, Europe, the Middle East, and North America. During 2018, the world’s largest LNG bunker vessel, the 7,500-cbm Kairos started operations in northwest Europe. It will be surpassed in the region next year by the 18,500-cbm LNG bunker vessel chartered by SEA\LNG member Total to supply CMA-CGM’s new fleet of 22,000 TEU container ships. Last month, SEA\LNG member the Port of Rotterdam revealed plans to grant nine LNG bunkering licences, and ADNOC Logistics & Services and INPEX Corporation signed a framework agreement for an LNG bunkering partnership in the United Arab Emirates. This framework agreement includes the potential to jointly expand LNG bunkering activities to cover other regions including South East Asia. European regional port pioneers of LNG operations in the Baltic and North Sea have been joined by other public-private initiatives in the Mediterranean such as the Poseiden Med II project. Co-funded by the European Union, this 53 million Euro project investigated the feasibility of LNG bunkering in six ports – Piraeus, Patras, Limassol, Heraklion, Venice, and Igoumenitsa – as well as using the Revithoussa LNG import terminal near Athens as an LNG hub for the region. The success of this programme led to the joint BlueHUBS programme between Greece and Cyprus. A twenty million Euro grant agreement signed in December by Public Gas Corporation of Greece SA (DEPA), and the European Union’s Innovation and Networks Executive Agency (INEA), covers 30% of the cost of BlueHUBS. This includes two 3,000-cbm LNG bunker vessels, the first for the Port of Piraeus and a second for Limassol. Limassol is also at the centre of the CYnergy project promoting a holistic approach towards the adoption of LNG in Cyprus. These two EU supported Mediterranean LNG infrastructure projects were joined by a third in November when the European Commission ‘Connecting Europe Facility’ committed three million Euros of funding towards the fourteen million Euro total investment in the LNGHIVE2 project based around the Spanish port of Valencia. In addition, SEA\LNG member Sumitomo has progressed plans to develop LNG Bunkering infrastructure in Turkey, including an LNG bunker barge to operate out of the port of Istanbul. LNG is now available at five Mediterranean ports in France and Spain, with development plans set to extend this to a further fifteen, including Marseilles from the middle of 2019. SEA\LNG member Shell will start importing LNG to Gibraltar in the first quarter of 2019. Asian governments are also endorsing LNG as a marine fuel, with South Korea’s government announcing plans worth 2.8 trillion Won (2.48 billion dollars) last month to develop LNG bunkering facilities in the country. Last summer, Japan’s Ministry of Land, Infrastructure, Transport and Tourism (MLIT) announced its support of the country’s first LNG bunker vessels to supply Ise Bay and Mikawa Bay near Nagoya port, close to Japan’s key manufacturing centre and Tokyo Bay, Japan’s centre for cruise passenger ships and container traffic, near Yokohama port. Singapore, the world’s largest bunkering port, granted subsidies to build LNG bunkering vessels to its two licenced LNG bunker suppliers. Both the Japanese and Singapore developments involve SEA\LNG members. Last autumn, Chinese gas distributor ENN Energy ordered an 8,500-cbm LNG bunker vessel to operate from its Zhoushan terminal, close to Ningbao in China. This bunker vessel is scheduled for delivery next year. Developments in infrastructure and bunkering to support LNG as a marine fuel can be tracked using SEA\LNG’s LNG Bunker Navigator Tool. This well-received online tool was launched in 2018 and will be revised with the next generation SEA\LNG website which will appear later this year. Legislators at the International Maritime Organization (IMO)’s Marine Environment Protection Committee (MEPC)’s 73rd session in October confirmed the ban on carrying non-IMO 2020 compliant Heavy Fuel Oil (HFO) unless the vessel was fitted with appropriate scrubber technology. 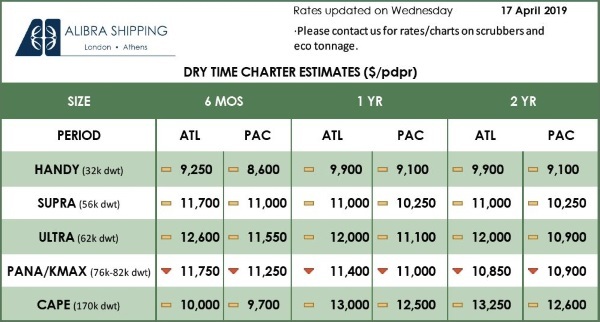 They also rejected a proposed sulphur cap “experience building phase” with heavy fines being levied on masters and ship operators for non-compliant vessels from March 2020. In addition, they agreed to start measuring Greenhouse Gas (GHG) emissions from ocean vessels from 1st January 2019, so that future legislation will be based on accurate data. The European Union is considering proposals to extend the Emission Control Area (ECA)s in Europe to include the Mediterranean Sea. 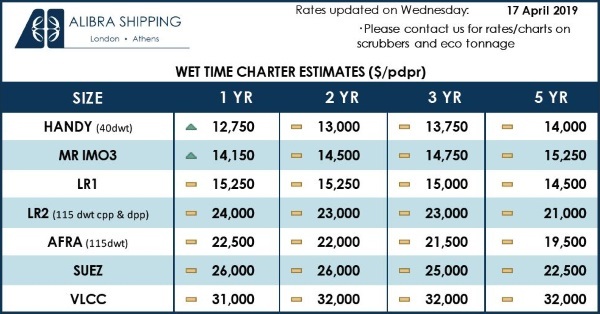 Last autumn, SEA\LNG member The Maritime and Port Authority of (MPA) Singapore made a decision to ban vessels discharging scrubber-produced ‘wash-water’. Discharge of wash-water from open loop scrubbers is also facing specific restrictions in other regions such as Chinese inland and coastal waters. With the International Maritime Organization’s 1st January 2020 0.5% global cap on heavy fuel sulphur content less than 365 days away, the shipping industry’s focus this year will continue to be on marine fuel. As 2020 looms, there is growing consensus that LNG is the best solution for today and into the future towards 2050, as there are no alternative solutions that can match LNG’s emissions profile and scalability. Further, because of the growth of LNG infrastructure worldwide, the concerns about supply of LNG to the maritime community are being effectively addressed. While there remain many unanswered questions about the choice and prices of marine fuels going into 2020, SEA\LNG will continue its commercially focused studies to provide authoritative information regarding the investment case for LNG as a marine fuel for shipowners, shipyards, ports and wider stakeholders. As the months progress, we expect to see an acceleration in decision making in favour of LNG due to three key factors: economic, environmental, and evolutionary. The economic case for LNG as the marine fuel of choice for newbuilds is growing stronger each month. An independent study commissioned by SEA\LNG and due to be released later this month, is set to show that for an Asia–US west coast liner service involving less than 10% of sailing time spent in ECAs, the greatest investment returns come from choosing LNG as the vessel marine fuel. Historically, high capital expenditure (CAPEX) hurdles for LNG engines – when compared with traditional alternatives – have reduced dramatically due to additional significant CAPEX now being required for conventional HFO engines to meet IMO 2020 rules, and the shipyard prices for newbuild LNG engines being discounted to encourage orders. The impracticalities and economics of retrofitting existing vessels with LNG tanks and the lack of ready access to LNG bunkers in some parts of the globe necessitate a portfolio approach to marine fuelling solutions for shipowners and managers, with different fuels best suited to different vessels and trading routes. However, in 2019 we expect to see an increasing percentage of newbuildings within the global fleet move over to LNG for economic reasons to gain commercial trading advantages. The concerns expressed by Shippers Advisory Groups globally regarding fuel surcharges post 2020 will continue to form an important element of the commercial discussions. Further work on the investment case for LNG within the SEA\LNG study will review the economics for a very large crude carrier (VLCC), car carrier, and dry bulk vessel. LNG is a commodity that trades globally supported by local infrastructure. The bulk infrastructure is already well aligned to today’s major shipping trade routes. This global availability means shipowners and managers of ocean vessels can choose the point of supply where LNG costs are most favourable, as well as operate ocean vessels worldwide, fuelled by LNG. It is a proven energy source which performs well and is affordable, offering 24% more energy output per tonne than HFO. LNG availability is set to grow rapidly. Current global production capacity for small-scale LNG (ssLNG) is about 25 million metric tonnes per annum (mta) and this is expected to reach 30M mta by 2020 and 80M mta by 2030. Truck fuel makes up about two-thirds of ssLNG demand, with power generation taking up about a quarter and the remainder being in marine bunkering, chiefly in Europe and North America. Looking ahead to 2030, marine bunkering demand is set to grow to just over a quarter of ssLNG output, from around 2.5M mta to more than 20M mta. Availability of LNG is expected to increase through new technologies such as floating LNG production (FLNG) vessels which enable more rapid exploitation of offshore gas fields. 2018 saw the second and third FLNGs Prelude and Hilli Episeyo come on-stream, to join PFLNG Satu which began operations in 2017. Four more FLNG projects are either under development or at advanced stages of preparation, with several others under consideration. Rapid growth in flexible FSRUs (Floating Storage and Regasification Units) is also increasing the market penetration of LNG and creating infrastructure for bunkering operations. Although the investment case for LNG as a marine fuel is being increasingly proven without subsidies, the environmental benefits it brings over traditional HFO and Low sulphur fuel mean that there are significant grants available from regional bodies and national governments to support its adoption. The strategic direction for global, regional, and national legislation is towards ever tighter regulation and higher standards of compliance with tougher environmental laws. Although individual nations may seek to delay or deflect specific environmental legislative measures; for many decades, especially since Kyoto in 1992 when climate change became a mainstream media topic, the majority of nations have demanded action to limit both harmful air and sea emissions from ocean shipping. This will not change in 2019, with the adoption in 2018 of the IMO climate change strategy stating that total GHG emissions from international shipping should peak as soon as possible and that total annual GHG emissions should decline by at least 50% by 2050 when compared to 2008. This is to be achieved by reducing carbon intensity of individual ships through more energy efficient ship designs and by reducing the carbon intensity of international shipping based on emissions per transport work, usually per tonne mile. The latter is to be reduced by at least 40% by 2030 and towards 70% by 2050. At the MEPC’s 74th session in May 2019 we expect to see further developments in general environmental legislation as well as specific measures to reduce CO2 emissions through improved ship design. Phase 3 of the Energy Efficiency Design Index (EEDI) requires vessels to meet a 30% reduction in carbon dioxide (CO2) grams per tonne mile by 1st January 2025, as compared to a baseline average for ships built between 2000 and 2010. For container vessels, this could be increased to 40% and be implemented within three years if current IMO discussions hold. This year, 2019, also marks the introduction of 0.1% sulphur limit ECAs covering China’s rivers and extended to the coastline around the southern holiday island of Hainan from 1st January 2022. Beijing is set to review the situation with a possible 0.1% cap going nationwide from 2025. With Arctic ice receding enough to open new trade routes, international bodies are discussing how to utilise these routes without causing damage to the vulnerable Arctic environment. As a clean gaseous bunker fuel, LNG poses no environmental threat to these unpolluted waters and is ideally suited to become the shipping fuel of choice for Arctic transport whether for cruise passengers or commercial freight. LNG is the only practical industry wide marine fuel today that provides a solution to power ocean shipping and advance the environmental standards – reducing pollutant particulates, noxious nitrogen, sulphur oxides, and GHG emissions. So while IMO 2030 and IMO 2050 seek reductions in carbon intensity of at least 40% by 2030 and towards 70% by 2050 necessitating a move in marine fuel to non-fossil fuels, LNG offers a long-term solution for multiple ship life-cycles. SEA\LNG together with the Society for Gas as a Marine Fuel (SGMF) has commissioned a GHG study to calculate the GHG emissions from “well-to-wake” which will be peer-reviewed by leading academics. This independent study is expected to reinforce the environmental credentials of current LNG marine engines and will report in the first quarter of this year. Alternative fuels attract growing media attention and interest continues to grow around hydrogen, methanol, ammonia, and battery propulsion systems. These alternative marine fuels may prove to be long-term zero-emission technology solutions for the shipping industry, however, they are not ready now and will require huge investments by industry and governments over decades to realise their potential. Here too SEA\LNG is proactive and has commissioned a study into the main non-fossil marine fuel alternatives currently being available. This study kicked off in December 2018, with results expected in the first half of 2019. Initial findings suggest these alternative fuels will be complimentary to LNG, rather than replace it. The final study currently funded by SEA\LNG is a Pathways study to analyse the role that LNG can play as a commercially viable, long-term bridging solution to a zero-emissions shipping industry, with immediate local and GHG emissions benefits. The world continues to evolve and environmental consciousness is now no longer a movement, rather a reality. There is growing demand in various markets from the ultimate customers for goods, the consumers of the world, that products are not only sourced but also transported in more environmentally sustainable ways. LNG as a marine fuel provides a positive choice for shipowners, not just in terms of reducing pollution but in demonstrating to their customers that they are making positive strategic changes in business practices which match the demands of the world’s consumers. LNG not only addresses current local emissions regulations such as the IMO’s 2020 sulphur cap but also future-proofs shipowners against tightening regulations. It also makes a significant contribution to GHG reductions and longer-term, the same infrastructure needed for LNG operations can readily be converted for use by non-fossil fuels such as Liquefied Bio Gas (LBG) or synthetic LNG (from power-to-gas). Only last month, the first load of LBG was bunkered at the Port of Gothenburg using LNG as the base for the procedure. Moving forward it is appropriate that we all consider the core environmental issue which is the fuel itself. Heavy fuels are the problem and with better fuels, such as LNG, we can address the core of the issue. While short-term technologies may have their place, we must all focus on the longer-term vision and our ability to solve core problems by looking at root causes. While structural limitations on existing vessels prevent the wholescale adoption of LNG across all vessels, LNG as a marine fuel provides a practical, environmentally friendly, and future fit way forward for newbuildings today. SEA\LNG member stakeholders and staff will be at the heart of the global initiatives to maximise the commercial and environmental benefits of LNG as a marine fuel. The economic, environmental, and evolutionary realities of global transportation are demanding changes and LNG can and does satisfy the demand for cleaner air and GHG reductions. SEA\LNG continues to grow, adding ten new members in 2018. Besides initiating, guiding, and funding independent key studies on marine fuel options, in 2018 the SEA\LNG team attended over 30 events across the globe – highlighting the ongoing positive infrastructure developments and sharing best practices to ensure effective and efficient expansion of LNG as a marine fuel. Actions resulting from these discussions continue daily, from commercial investment decisions made with greater insight and confidence, to decisions to establish local working groups to look afresh at LNG as a marine fuel, as is happening in the US ports and elsewhere. SEA\LNG will again be visibly active internationally in 2019 including the Trans-Pacific Maritime Conference in Long Beach, California; Nor-Shipping in Oslo, Norway; and the 160th Anniversary celebration of SEA\LNG member Yokohama-Kawasaki International Port (YKIP) in Yokohama, Japan. SEA\LNG staff and members will continue to be active in important LNG and maritime related events and conferences around the world. Since marine fuel is set to be the key marine news story for 2019, SEA\LNG will continue to promote the positive benefits of LNG as the newbuilding marine fuel of today and tomorrow in person, with stakeholders, and online. We will engage more shipowners, shipyards, ports, and legislators to improve their knowledge around the adoption and operation of LNG as a marine fuel – promoting the facts and debunking myths long outdated by current technology and infrastructure. With the countdown to 1st January 2020 continuing throughout 2019, adoption of LNG as a marine fuel is set to accelerate. LNG as a marine fuel is THE economic, environmental, and evolutionary choice. As an organisation, SEA\LNG has grown from 13 founding members to 36, representing the entire marine LNG value chain, uniting key players including shipping companies, classification societies, ports, major LNG suppliers, downstream companies, infrastructure providers, shipyards, OEMs, and financial institutions. We are proud that our members have been at the forefront of developments during 2018, which are set to continue through 2019 and beyond.